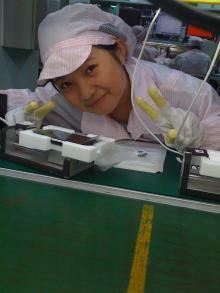 While we'd heard of brand new iPhones coming with photos from the factory, we weren't ever sure what to make of them. Not sure if this is or is not the 'norm' but I just received my brand new iPhone here in the UK and once it had been activated on iTunes I found that the home screen (the screen you can personalise with a photo) already had a photo set against it !!!! A few more photos were posted to the discussion thread.